The Minister for Trade and Industry, Alan Kyerematen has told Parliament that government offered the latent Komenda Sugar Factory on sale to a strategic investor. According to him Price Water House Coopers (PwC) has been contracted as transaction advisors and have completed evaluation process and a recommendation made for consideration by the Ministry and Cabinet. The Minister Trade and Industry Minister stated this when he appeared on the floor to respond to a question by the Member of Parliament for Komeda- Edina-Eguafo-Abrem, Dr Samuel Atta-Mills on the status of the factory. Dr Atta-Mills wanted to know why the Komenda Sugar Factory has been shut down and the reasons for shutting down the factory. “The Ministry in an effort to put the factory to viable commercial production decided to initiate a new process in collaboration with the Transaction Advisor, PwC, to attract a strategic investor to acquire the assets of the Komenda Sugar Factory and manage the company’s operations. I am pleased to announce that the bid evaluation process has been completed by the Transaction Advisor and a recommendation has been made for consideration by the Ministry and Cabinet. I envisage that the final decision in respect of this matter will be taken by the end of April, 2019,” Mr Kyerematen said on the floor on Thursday. According to Mr Kyerematen, the previous government, in late 2016 went through a process of divesting its majority shares to a private investor. He noted however that the process was aborted due to the failure of the identified investor to fulfil the obligations under the Sale and Purchase Agreement. The Minister stated that in September 2017, the Ministry commissioned a technical audit of the factory to ascertain its technical and operational status. The findings of the technical audit included: a test run was never completed before the factory was commissioned due to the unavailability of sufficient sugar cane for the test run. Also, the factory on commissioning was not in a position to produce the required white refined sugar due to the absence of the following processing component units, which were not fully installed during the test-run, comprising melt clarification units, vertical crystallizers and dozing system. However, Dr.Samuel Atta-Mills, in response to the Minister’s response on the floor of the House indicated that there is “no sense of urgency from government” and that they are taking their time in looking for an investor. According to him, the farmers and chiefs in the area have pledged over 17,000 acres for outgrowers to produce sugarcane to feed the factory, maintaining that what government needs to do “is to draw up on the loan that the previous government procured for them to expand their farms and to be able to feed the factory. The sugar factory needs about 100,000 tonnes a day to run and these people are ready to out plant it. What we are waiting for is the money for us to set up these outgrowers”. The Minister told the legislature that, Government in 2016 secured US$35million EXIM Bank facility to set up the factory, whiles a US$24m facility was also set aside to support outgrower farmers. 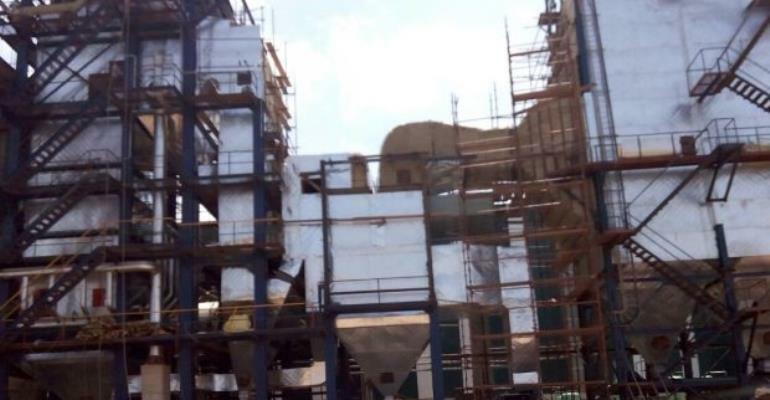 The Komenda Sugar Factory after its commissioning by the previous government on 31st May, 2016 has been idle due to serious deficiencies in the planning of the project and other financial, technical and legal challenges. Overall, about 35 items had not been installed on commissioning although they are critical for the production of sulphurless white sugar. The land size available for cultivation is far less than the 6,000 acres required to supply sugar cane to run the factory at full capacity. There has been no out-grower scheme developed for small scale farm holders to support a nucleus plantation for the factory. Generally, the soil condition in the factory catchment area is not favourable and requires significant application of both organic and inorganic fertilisers to improve yields, the Minister noted.